An article full of fun facts about sushi, or as Ray Isle calls it "Sushi By Numbers." Quite a few interesting facts. 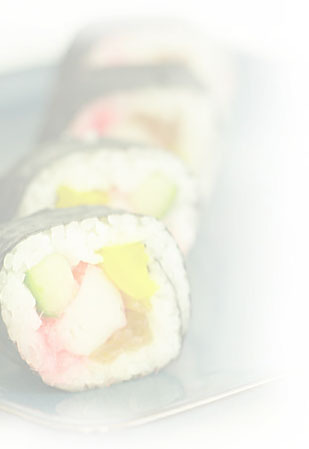 Did you know the longest sushi roll ever made is 4,381 feet of sushi?! Ray Isle also includes some history about the famous California Roll, some definitions of the different types of sushi, and some information about famous sushi chefs and sushi in big cities from coast to coast such as Washington, DC to Los Angeles. How can a mobile app help you order sushi? Bob Tedeschi from the New York Times writes about how sushi eaters can sound native when ordering sushi, with just a little help from their smart phone. You can download applications for your smart phone that offer sushi guides, definitions, pictures, quizzes, etc. Find yourself eating, talking, and ordering like like a sushi professional! Check out the article by Bob Tedeschi from the New York Times. I know I'm a little late on this, but I still find it relevant. The 8.9 magnitude tsunami that hit Japan and the Japanese region in March killed almost 20,000 people. Cities were destroyed. Businesses were destroyed. Sushi markets were destroyed. The circumstances caused by this unfortunate tsunami have disabled the ability for fisherman to bring sushi to the table. This tsunami has not greatly affected sushi in America, but the sushi lovers in Japan and areas nearby are experiencing sushi and other fish dish shortages. This article discusses how Japan is starting to recover their sushi market. Love and Sushi - They love each other and they love sushi! Their shared love for sushi may have been the start of a great relationship! I recently read an article about free sushi in New Smyrna Beach, Florida. Central Florida has been known as one of the highest shark attacked areas in the country. A local restaurant named Kaiju offers a free sushi roll for victims of shark attacks. Victims can show photos, scars, or anything that proves this unforunate incident. But hey, who would turn down a free sushi roll?! Click the Huffington Post article link below for the full story. Maxine Glass has written a great article with a brief history of sushi and the different types of sushi. Click on the link below to read the article. I learned a lot - like that there are over 15 different forms of Nigri Sushi.